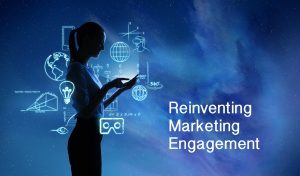 Revolutionary platforms like Virtual Reality, immersive 360° content and the next gen of Augmented Reality are disrupting the worlds of marketing & advertising, altering how we engage viewers with content. Outlyer is creating the tools & solutions to help brands adapt to these new technologies forever changing how they connect with consumers. Comprised of a team of award winning industry professionals, Outlyer is focused on applying advanced technology to help brands leverage these emerging platforms offering marketers a new, enlarged, fully interactive canvas by which they can tell a better story. Whether it’s by creating immersive 360° content which can be viewed today using any smartphone, mobile device or desktop or extending this same content to be enjoyed using a virtual reality headset, marketers have a new tool in their arsenal by which to engage audiences. Outlyer recognized early on the tremendous opportunity these new content platforms offer brands and have devoted our energies to pushing the boundaries so that our clients can stand out from the clutter. From our groundbreaking, patent-pending “Panamorphic” Ad Technology that includes the World’s 1st Interactive 360° rich media ads to our proprietary, white label, fully interactive player that can serve up VR, 360° and traditional video fare to being a full service VR/360° studio that can help brands create both live action & CGI content, Outlyer is poised to help brands take their digital marketing efforts to the next level.